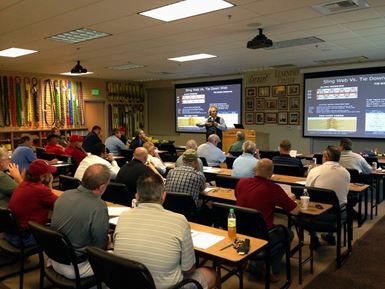 Participants will be trained to identify sling and rigging hardware types, components and removal from service criteria per ASME, DOL-OSHA, association standards and manufacturer recommendations. Sling & Rigging (16 Hour) consists of intermediate to advanced rigging activities. This course will give an overview of the necessary ingredients to successfully develop and communicate the message of proper sling and rigging techniques. NCCCO Rigger Level 1 & Level 2 Certification Preparatory Training prepares students for the successful completion of Level 1 & Level 2 Rigger certification testing. Eye and Eye slings can be used in choker, vertical and basket hitches.  Slings with Half Twist (Type 4) eyes are furnished unless Flat (Type 3) eyes are specified. Sling eyes will be wrapped at the bearing point unless otherwise specified. Eye & Eye nylon lifting slings featuring flat eyes can be used in all three hitches: choker, vertical and basket. 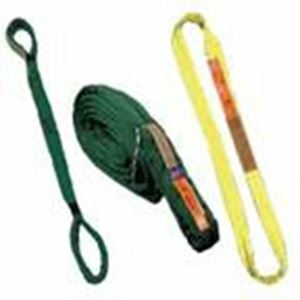 Heavy duty nylon rigging slings featuring the Flat Eye and Eye design are made in widths ranging from as narrow as 1 inch and as wide as 12 inches. 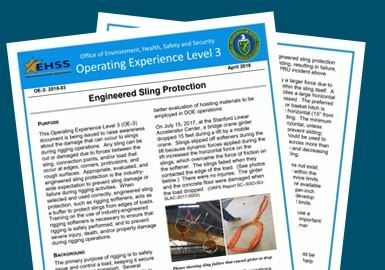 All Lift-It® Flat Eye & Eye slings feature protection at the sling eye bearing points. The extra protection wrapped around the sling eye provides additional service life as this is a critical wear area for all polyester and nylon rigging slings. Sling eyes are automatically tapered to a narrower width on Eye and Eye lifting slings that are over 3 inches in width. At Lift-It we do not charge extra to taper the eyes for your 2 inch wide rigging straps. Flat Eye, Eye and Eye nylon lifting slings used by crane and rigging customers around the world provide for the lowest profile eye available. Low profile eyes make sling removal easier when tight clearances are unavoidable. Nylon rigging slings that feature flat eyes are also referred to as double eye slings or Type 3 slings. If a more supple body composition is desired consider using Lift-It® polyester roundslings in the eye and eye style. Eye & Eye polyester round slings are formed by passing an exterior sleeve over the strands of the polyester roundsling. If a 200% load test is required on your slings please contact our sales team prior to ordering, 909-469-2251. Lift-It® Bridle Assemblies feature hardware that is substantially larger than other manufacturers. We take into account not only the strength requirements, but the spatial relationship between sling attachment points and interfacing hardware. If a 200% load test is required on your slings please contact our sales team prior to ordering, 909-469-2251. S237 High Performance Sling Connectors are designed to easily connect HP slings to masterlinks or eye hooks for the creation of bridle assemblies. The Metal-on-Metal “hinge point” enables increased sling longevity and efficiency. Lift-It® Gas Cylinder Cradles are made from polyester webbing and rated at 1,000 Lbs. Work Load Limit. The cylinder base rests securely in a double ply, leather lined, nylon cradle while the bottle neck loop presses against the cylinder neck, securely holding the cylinder. Vertical Drum Slings were initially developed for the US Department of Energy and have become very popular in many, industrial and commercial applications. Vertical Drum Slings are made from one inch, polyester webbing and are rated at 1500 Lbs. Harrington CF Hand Chain Hoists give you a practical alternative based on an economical design using fewer parts for trouble-free service. Outstanding durability results from a die-cast aluminum body and high-strength, heat-treated main pinion shaft and load gear. Pre-lubricated ball bearings, precision machined gears and Weston-style load brake make lifting smooth and easy, providing long service and low maintenance. Harrington LX Mini Pullers are lightweight, compact and built to perform. LX Mini Pullers fit conveniently in a toolbox and will easily handle pulling and moving jobs in many applications including transportation, construction and plumbing. Available in two capacities, the ½ Ton model is unique to the industry. Shorty "J" represents the broadest line of standard crane blocks in the industry. More than 1500 standard models, not including options are available. Lift-It® Pole Handling Slings combine Polyester Max Edge® webbing with a Special Gripper Pad for handling and abrasion resistance. Rated at 5,000 Lbs. choker. Lift-It® product engineers developed the Five Gallon Pail Sling at the request of sling users in the tower industry. 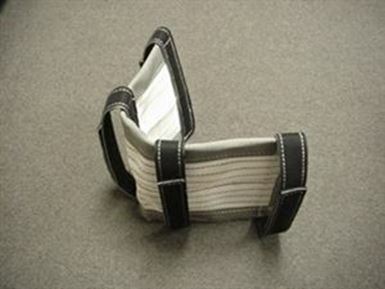 Lift-It® Blade Socks were developed to replace expensive, European blade socks. Lift-It® Blade Socks facilitate handling and manipulation, with structural integrity, positive attachment points and no seams to rupture. Work Load Limit- 1,000 lbs. Tool Bags manufactured by Lift-It® feature the finest materials and the same heavy duty, fabrication skills required to make slings capable of carrying serious weight. Products rated at 100 Lbs. receive the same attention to detail as those rated at 100,000 Lbs. Web Cargo Nets are considerably more flexible, lightweight and compact than wire or manila rope nets. Military Specification Cargo Nets are manufactured to: Department of Defense specification-MIL-S-18313G and have a mesh opening size of approximately 6.25 inches square. Commercially produced Cargo Nets and non-standard sized nets are also readily available. Polyester endless round slings from Lift-It Manufacturing. Endless round sling configurations enable the user to rotate hook and load contact points, resulting in increased sling longevity. Lift-It® Polyester Roundslings are made of polyester core yarn covered by a seamless, tubular cover. The seamless round sling construction and tubular design of the cover helps to eliminate the premature rupturing of covers, characteristic of seamed roundslings. If a 200% load test is required on your slings please contact our sales team prior to ordering, 909-469-2251. The first truly ergonomic sling, Twin-Path® Extra Slings (TUFXKS a.k.a. TPXC) are used worldwide in place of wire rope slings for heavy lifts. Twin-Path® Extra Slings weigh approximately 10% of comparable strength, steel slings. Super strong and ultra-light, Twin-Path® Extra Slings rated at 600,000 Lbs. vertical capacity are standard items and larger capacity heavy lifting slings are available. Wear Pads for slings is terminology from the past, although many still refer to sling wear pads as such. 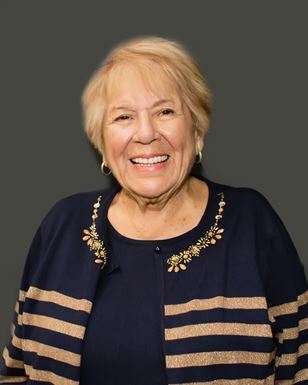 The Lift-it family mourns the loss of Edna May Quintero.